Think of a city break destination in the USA, and chances are your mind will immediately take you to the bustling metropolis of New York. The Big Apple, where you’ll find world-class entertainment brushing shoulders with surprising outdoor spaces, where fine art and street food can be found on the same itinerary, where the fast pace is rivalled only by the unexpected pauses, like strolls along the High Line or perusing fresh produce in an old biscuit factory that is now the Chelsea Market. Visitors have swarmed to this infamous city for decades, but what if I told you that there is a new New York; a city that offers the same contrasts, the same buzz, the same heaping serve of culture...and more? Head a few thousand miles west and you’ll hit it. As soon as you spy the unmistakable International Orange hue of the Golden Gate Bridge, you’ll know you’re in the right place. San Francisco is often thought of as a gateway to other Californian destinations. Sure, it has its own attractions, like the vintage cable cars, the Golden Gate Bridge, and Alcatraz. But tourist cliches aside, is it anything more than a great gateway to the Napa Valley or Yosemite National Park? The answer is yes. 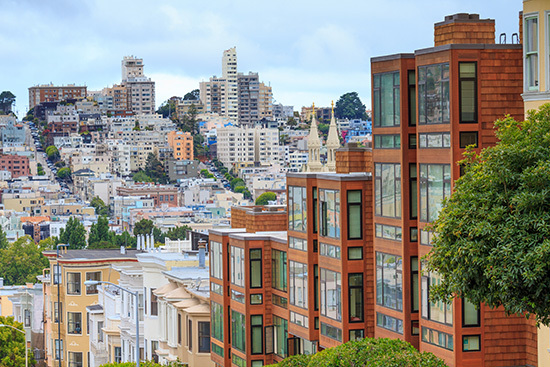 But to really see San Francisco for the vibrant, eclectic, addictive city that it is, you’ll need to spend some time scratching beneath the surface. Remember Central Perk, the coffee shop that the cast of Friends spent a decade sipping coffee in? Or how about any New York cop show since 1980, in which the cast are fuelled by caffeine and adrenaline? And who can forget the diner where Sally had that meal with Harry? Coffee and New York have always gone hand-in-hand, but the city isn’t known for serving a quality cup of joe, unlike San Francisco, where a certain amount of coffee snobbery is practically a prerequisite for visiting. Start your day in San Francisco the right way, with a freshly ground, artisan brewed coffee from any number of specialty cafes around the city. Shoreditch-type hipsters will love Rapha Cycle Club, a place where lycra-clad cycling enthusiasts meet for gruelling rides around the city or a post-workout espresso. If you’re more of a casual cycling fan, check out The Station on Pacific Avenue, which sells custom handmade bikes and accessories as well as quality coffee, juices and delicious light meals (including gluten free sandwiches). Although, if you’d rather eschew cycling altogether, head down to the Embarcadero, a stretch along the water that’s a juxtaposition of touristy hotspots as well as hipster hangouts like the Ferry Building. 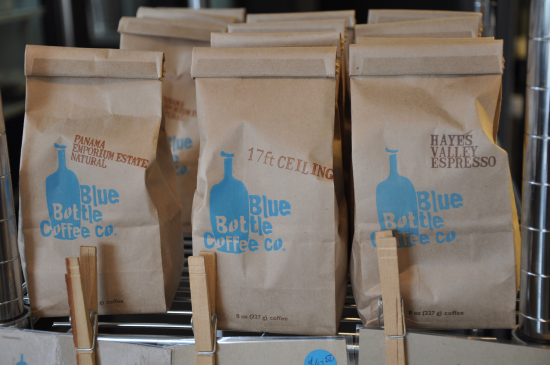 While there, grab your morning jolt courtesy of Blue Bottle Coffee. Such is the popularity of this California roastery that its stores now spread all the way across the continent to New York, with rumours of a Tokyo expansion soon. Energised for the day ahead, it’s time to check out your surroundings. Stroll around the Ferry Building, taking time to sample artisan food and drinks from the stalls dotted throughout this transport hub and foodie mecca. Grab some fresh produce for a picnic lunch before you leave - but don’t worry - you’ll be back here later. 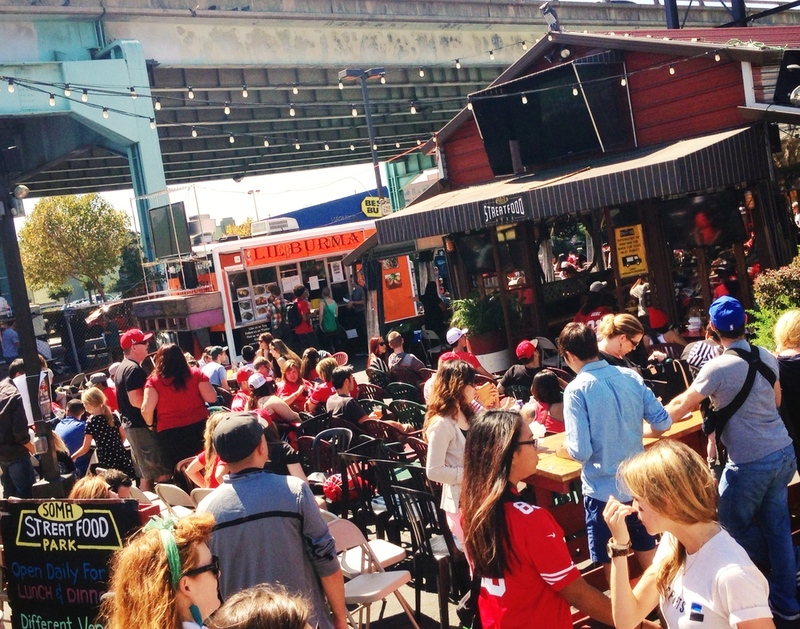 If you skipped your midday meal, or you’re just on the hunt for a second lunch (and let’s face it, the only way you’ll get to sample a good portion of the city’s dining is to indulge in multiple meals), your next stop should be the SOMA StrEat Food Park, an ever-changing selection of food trucks that assemble every day in the South of Market neighbourhood of the city. You’ll want to capture this hipster paradise on Instagram, and thanks to free wifi you can as you munch your gourmet treat in the covered seating area. You’ll be tempted to return here for dinner, but there are too many other gastronomic options to try, so resist the urge to park yourself along with the trucks and instead keep moving, this time in the direction of The Mission district, sometimes known as Little Mexico. This vibrant neighbourhood, adorned with colourful street art, is also renowned for its food scene. Make sure you try salted caramel ice cream at Bi-Rite, get your pizza fix at Flour + Water and devour pretty much anything that comes out of the oven at Tartine Bakery & Cafe. If you’re looking for the equivalent of Central Park, you’ve got plenty of inner-city green spaces to choose from. My personal favourite is just a short stroll from the tourist-packed Pier 39. 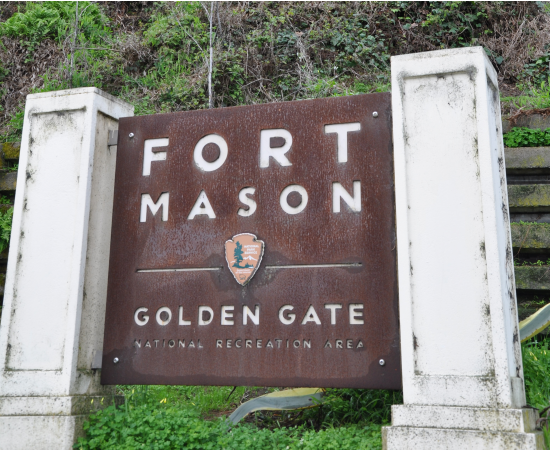 Head along the water towards Golden Gate Bridge, past Ghiradelli Square and you’ll soon hit Fort Mason, a former US army post that’s now the perfect place for a peaceful walk and a picnic overlooking Alcatraz and the Golden Gate Bridge. Head east and you’ll discover Golden Gate Park, a sprawling green space that’s an impressive 20 percent bigger than its Big Apple rival. Find tranquility in the Japanese gardens, stop to check out the grazing bison, get botanical in the Victorian conservatory or even play a round of golf. You are probably wondering why, if I’m comparing this city to New York, I’ve not mentioned shopping yet. Rest assured, there’s plenty to be found in San Francisco. You can find all of the big name malls and department stores around Union Square, but if you’re looking for something a little more unusual, stay right where you are and browse some of the many boutiques in The Mission. From a pirate supply store to pretty paper boutiques and trendy threads such as the ones you’ll find in Mira Mira, you can shop off all of that decadent food in an afternoon. 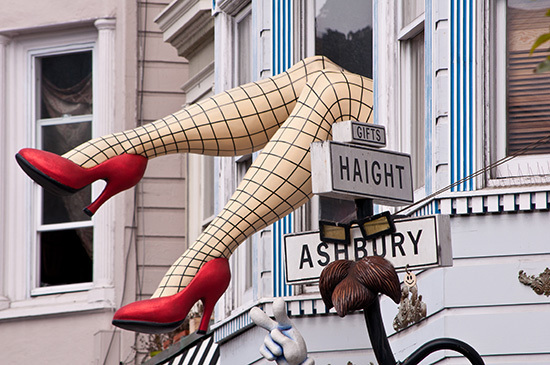 There’s some vintage to be found here too, but if that’s what you’re seeking, head down to Haight Street to rummage through Decades, Relic and a handful of other stores where you can find a one-of-a-kind piece to wear when you hit the bars. If you want to stay in character in your new vintage rags, don’t miss Wilson & Wilson, a detective agency themed speakeasy in the trendy Tenderloin district. This bar-within-a-bar serves craft cocktails, including a ‘flight’ of three for $30. You’ll be looking for something to line your stomach after all that booze, so it’s time to head back to the Ferry Building, where you’ll find The Slanted Door, an upmarket Vietnamese restaurant that’s also home to an atmospheric bar overlooking the Bay Bridge. But if you’re looking for a true New York experience, you need to watch the city bustle beneath you from the lofty height of a rooftop bar. I recommend Jones, a sophisticated lounge that’s close to Union Square. It’s here, while sipping your cocktail and listening to the sounds of the city, that you may, just for a second, forget that this isn’t New York. It’s the new New York, a slightly more chilled-out, definitely more hilly and ever-so-slightly more foggy version, but in every sense an all-round contender for the best city break destination in the United States. When Elle is not travelling, she's blogging about it over at A Bird in the Hand Travel. She believes that you don't have to look like a backpacker to travel, and writes about the stylish side of wanderlust, from stylish destinations to packing tips.